In China golf is not just a barometer for the country’s rapid economic rise, the sport also allowed Washburn to examine many major issues in the mainland such as corruption, environmental neglect, disputes over rural land rights, a Wild West-style real estate market, and an ever-widening gap between rich and poor. 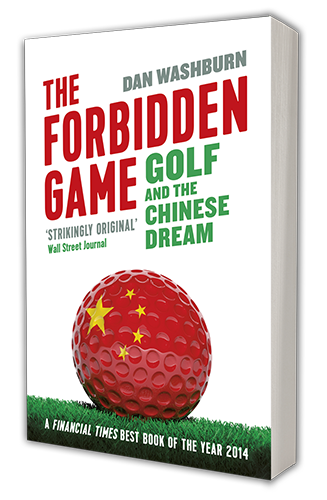 The speaker will explain why he chose to tell this story through the eyes of three very different men, in his book, “The Forbidden Game: Golf and the Chinese Dream,” named one of the best books of 2014 by The Financial Times. He will offer insight into a commonly asked question: How did China — where the construction of new golf courses is technically illegal — come to be the only country in the world in the midst of a golf course boom? Washburn, who lived in China from 2002 to 2011, spent more than seven years researching and writing this book. He is an award-winning journalist and Chief Content Officer at the Asia Society. His writing has appeared in FT Weekend Magazine, Slate, Foreign Policy, The Atlantic, The Economist, Golf World, Golf Digest, ESPN.com, The Telegraph, Quartz, the South China Morning Post, and other publications. Washburn is also the founding editor of Shanghaiist.com, one of the most widely read English-language websites about China. Confirmation will be sent to you once your booking is accepted. 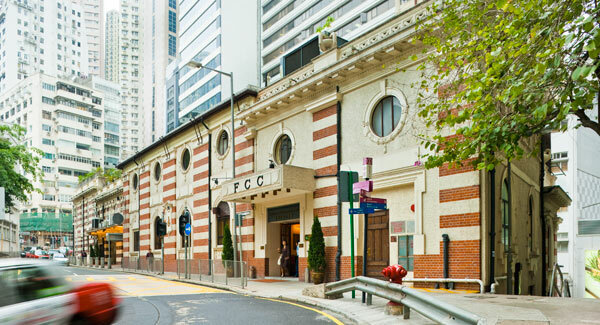 If you do not receive a confirmation within two working days, please contact our Concierge. Please indicate your preference of dishes (fish, chicken, vegetable or vegan) when placing the booking. Guests who arrive after 1:10pm will be served lunch only after the event ends.